Struggling over tough lawns are a thing of the past with this excellent lawnmower that propels itself with the power of a 140cc Briggs & Stratton 500E engine. Use this powerful self-propelled lawnmower to slice through the toughest of grasses with minimal effort! With 7 different grades to choose from, all you need to do is to set the cross-cut blades to the desired height and watch as the self-propelled back wheels turn do all the hard work. 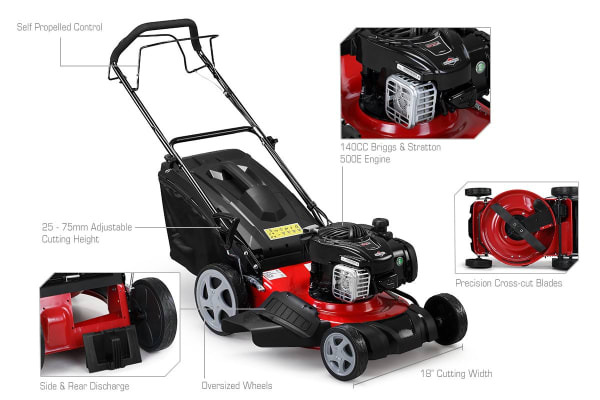 The easily manoeuvrable oversized wheels of the Certa 18” Steel Deck 140cc Self Propelled Petrol Lawn Mower takes the drudgery out of mowing large blocks and function perfectly even for small backyards. The side discharge function distributes mulch around your lawn removing the need to empty the catcher. All in all, it’s your best bet for a healthy and great-looking lawn. 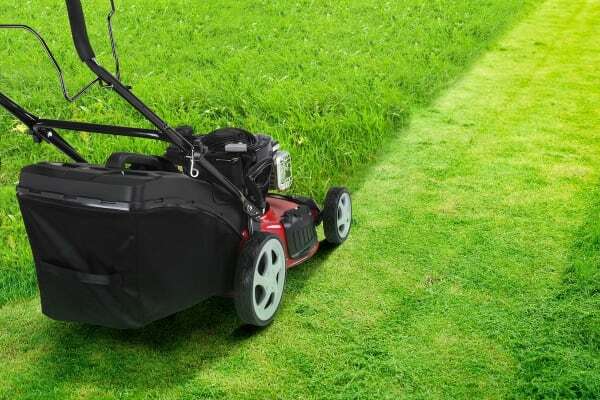 To ensure your mower is cutting with maximum efficiency, get spare blades! 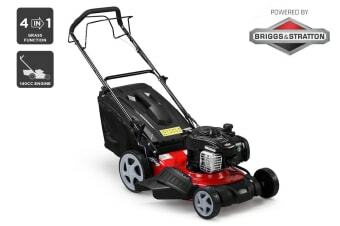 Enjoy industry-leading power and performance thanks to the premium 500E 140cc Briggs & Stratton engine. Spend less time pushing and more relaxing with the ease and convenience of self propelled wheels. With oversized wheels, this lawn mower is easy to manoeuvre so you can cut through even the toughest grass with minimal effort. Easily switch between cutting grades to achieve the perfect lawn. 2 cross cutting blades for smooth and efficient mowing. Only used once seems ok self propelled slow but suites me.